A product recall is one of the most unpleasant and potentially damaging experiences likely to come your way in the food industry. However, you can take steps to avoid recalls and to manage them efficiently if they can’t be helped. Here are some of our industry experts’ responses to frequent questions about recalls. Other than a company looking like they made or distributed a harmful product, what makes recalls so damaging to a business? A number of things play into this. The communications teams in many food companies lack preparation for supporting and explaining recall efforts. Even if companies take immediate action to remedy the causes of recalls and ensure consumer safety, poor or slow communications can worsen the impact of recalls on brands and reputations. Often, an incident or a complaint will make it evident that a recall is inevitable or might become so, but executives do not know the real causes and operations managers cannot immediately provide the answer. A company’s reputation may suffer within hours from recall news, but restoring it will take much longer. One key aspect of ineffective recall management is that companies don’t have the visibility to easily identify the causes or the control to implement corrections rapidly. How do I gain the visibility we need to avoid or manage recalls? You need to implement end-to-end tracking of your raw materials, ingredients, and products, so you always know what happens to them and verify that items and processes meet quality and compliance standards. Transparency needs to start with the farmer, producer, or manufacturer you source from, carry on through shipping and warehousing, and on to your production process, remaining intact to the point of consumption. The technology tools you can use to accomplish this visibility are well proven, commonly available, and economical. Columbus works with Microsoft Dynamics 365, which provides powerful ERP and CRM capabilities on the Azure cloud. On Azure, you can also access a portfolio of business insight tools that help you understand and report on the events in the lifecycles of your materials and products. What if a recall has to happen because of something that’s out of our control, for instance, a new allergen identified by nutritional scientists, or mishandling of a product by a distributor? In today’s industry climate, everybody’s attention will immediately focus on the manufacturer. Consumers, resellers, and trading partners will look to you to minimize the fallout from a recall and change operations and controls so it will not reoccur. The sooner and more visibly you take charge of the situation, the better for your company’s reputation. However, if you use the business intelligence tools that are part of Microsoft Dynamics 365 or that can integrate with it, it’s very possible that you will not be caught by surprise, because you have the visibility to pinpoint quality deviations or other potential causes for recalls before they become consequential. How do I best handle recalls once they are necessary? You need to provide regulators, consumers, and resellers with the assurance that you are doing as rapidly as possible whatever it takes to perform a recall and remedy its causes. 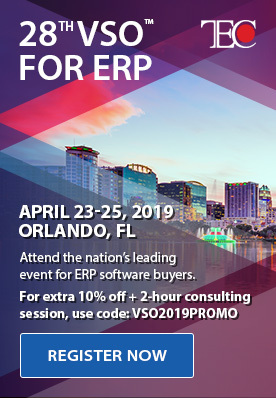 If you are already using a modern ERP system extended by integrated business intelligence tools that can reach across your processes and supply chain, taking effective action and demonstrating its outcomes will be much easier. How can I use technology to work with our suppliers, distributors, and resellers to avoid recalls or minimize their impact? In the cloud, you can give your trading partners secure access to workspaces where you share data and resources from your ERP system and other software tools. Collaborating with these companies, you can review and analyze the events and processes that prompted the need for a recall and decide how to prevent recalls in the future. You can also work with your suppliers and distributors to improve the transparency of processes and the traceability of items. For example, you could take advantage of the internet of things (IoT) and connected sensors to tell you about environmental and quality conditions in farming operations, shipments, production, and distribution. You can also set automatic notifications that enable the ERP system to alert people whenever such conditions depart from acceptable standards. How can I improve my operations after a recall? Consider ensuring that your production and distribution processes support the quality and regulatory standards you need to maintain. Rely on data evidence to verify at any time that this is the case. Columbus food industry experts can help you deploy technology tools in such a way that you can control your compliance with applicable standards and regulations. It could also be worthwhile to streamline and automate communications with your suppliers and distributors so that priority news can immediately reach the right people. Why is a software solution better than our food experts and business managers being on top of processes and enforcing all applicable quality and compliance standards? Let people do what they’re best at, which is higher-level decision-making and strategic planning. To gain the visibility to ensure effective recall avoidance and mitigation, you may need to collect, store, and analyze large amounts of data from multiple sources. You can easily do that in the cloud, where you never run out of space. You can automate some of the more tedious steps of your analytics and reporting, eliminating busywork and fatigue for your managers. No matter how experienced and insightful your people are, they will get tired, make mistakes, overlook things, or act on an emotional or irrational bias. Software, on the other hand, can monitor streams of data day in, day out, and, for instance, flag quality or environmental deviations as soon as they happen, without missing any information. It can also be more effective at helping you spot farming, weather-related, or other trends before a human observer would identify them. What does Columbus offer food companies that want to forestall or mitigate recalls? We have successfully implemented ERP and other software solutions for a number of food companies, leading brands as well as smaller, growing operations. We know how to fine-tune the technology to support your goals, business model, and processes, and enable a productive experience for your users. In the cloud, on-premise, or in a hybrid environment, we can help you do the utmost to make sure that recalls will not need to happen, but that they will be a relatively small event, handled with great efficiency, if they can’t be helped. We also position you to keep all other business activities within your visible range and managerial control. Are any of your products specifically designed for managing recalls? No Columbus solution exclusively targets recalls, but we can deploy our industry, process management, integration, and productivity solutions together with Microsoft Dynamics 365 to enable productivity, intelligence, compliance, and control in all your business activities – including recall management. When it comes to supporting food companies, what makes Columbus different from other Microsoft Dynamics partners? We are a customer-centric organization with a global reach, a local presence, and a deep understanding of the business cultures in the world’s regions. Many of our customers are leaders in their field, undertaking business transformation initiatives or implementing innovative technology to become more competitive and ensure their viability. Columbus consultants are experts at understanding and mitigating the risks involved in these efforts. You can benefit from their wealth of experience in reducing recall risks. Start by downloading our free ebook How to minimize recall risk with complete traceability. Contact us today if you want to explore what cloud ERP and analytics can help you accomplish. 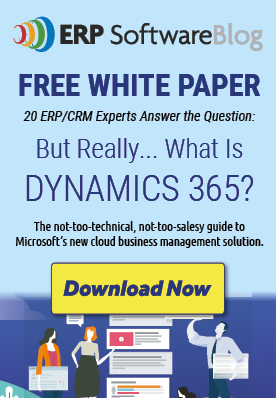 This article was written by Columbus, a leading Microsoft Dynamics Partner.